God never promised it would be always easy. He didn't promise a smooth path with no detours or bumps in the road. God sent Ezekiel to speak the truth to a rebellious, impudent and stubborn people who continually transgressed against Him. Read Ezekiel 2. And He said to me, "Son of man, I send you to the people of Israel, to nations of rebels, who have rebelled against Me. They will know that a prophet has been among them. Don't worry, Ezekiel. That bunch of rebels will know that My prophet has arrived. I'm going with you, so don't be afraid. and you sit on scorpions. God was letting him know ahead of time that it wasn't going to be easy. There would be nasty words, briars and thorns, scorpions. Ouch. For the Lord gives wisdom; from His mouth come knowledge and understanding; He stores up sound wisdom for the upright; He is a shield to those who walk in integrity, guarding the paths of justice and watching over the way of His saints. A child of God always has this assurance. He is a shield to those who walk in integrity. He watches over us every step of the way. The path may not be an easy one, but it's easy to trust a God like that. Those who trust in the Lord are like Mount Zion, which cannot be moved, but abides forever. As the mountains surround Jerusalem, so the Lord surrounds His people, from this time forth and forevermore. God keeps His children solid and immovable, like a mountain. He encompasses His children like the mountains that surround Jerusalem, always guarding, always protecting, always shielding. This is the God we serve! He calls us to serve Him in the midst of thorns and briars and scorpions - yet He is with us, protecting and shielding us in spite of the pain. Romans 12 is such a practical chapter. I appeal to you therefore by the mercies of God, to present your bodies as a living sacrifice, holy and acceptable to God, which is your spiritual worship. A living sacrifice. Sacrifices in the Old Testament were always killed; the blood was shed to appease the wrath of a Holy, Perfect God. But there is no more need for the shedding of blood because Jesus is the Propitiation for our sins. He shed His blood and paid the price. No more sacrifices are necessary for redemption. But Paul is teaching in Romans that God is so rich in mercy and grace that we ought to present ourselves wholly to Him, to be used as instruments of righteousness in this wicked world. Just like Ezekiel obeyed God's call, we ought to serve wholeheartedly. Ezekiel was motivated by a vision of heaven. We are motivated by more. We're motivated by the depth of the riches and wisdom and knowledge of God. He always does what is right and good - including sending His children on a difficult journey. We can't head off into the thick of things without being prepared, and the only way to be prepared is with a renewed mind. Be transformed by the renewal of your mind, that by testing you may discern what is the will of God, what is good and acceptable and perfect! Testings and trials will come as we walk humbly with our God. Every saint in the Bible endured suffering - and so will we. But we have the joy of knowing that God is with us, that He is using us for His glory, and that despite the briars and thorns and scorpions, our lives can make a difference. Ezekiel was in exile, far from home, in a land unfamiliar to him. He was among the other exiles in the place in which they had settled by the Chebar canal, and the hand of the Lord was upon him there. God was preparing Ezekiel for the difficult task ahead. He called him to be his spokesman, a prophet with a purpose - to proclaim the message of God to His exiled people. To do the job, Ezekiel needed to see God. Read the first chapter of Ezekiel to know what he saw. It's an amazing, wonderful awe-inspiring sight. Wherever the Spirit wanted to go, these angelic beings went. They did the bidding of God with intelligence, power, strength and speed. Near the end of the chapter, we see that Ezekiel saw a likeness with a human appearance, filled with brightness and glory. Ezekiel's eyes were opened to see an astounding vision of God's power and glory and control. He saw the living creatures ready and able to do everything God desired. He saw a glorious human appearance, and he fell on his face. That's all we can do, Lord, when we catch a glimpse of Your glory. We fall on our face, and worship. We are so privileged to be where You've put us in history. We've not seen the vision You gave to Ezekiel. We've not witnessed the creatures or the wheels full of eyes. We've seen so much more. We've seen, through eyes of faith, the cross of Jesus. We've seen, through Your infallible Word, the grace of God. when You sent Your Son as a tiny babe with the greatest task of all. We see Your grace, and we fall on our face in worship. We know that You look on us and see brightness and glory, righteousness and truth. You look on us and see Jesus. This is impossible to comprehend apart from Your Spirit, who teaches us all things. All we can do is thank You. All we can do is sing Your praises. All we can do is love You, by loving and serving Your people. Help us to do the work You have prepared for us to do. When we are weak, Show Yourself strong, and use us for Your glory! So, do with us as You will. Use us where we are. Make us worthy to be called Your sons, with the courage of lions, the strength and perseverance of the ox, the speed of eagles, and the intelligence and understanding of Jesus. Be thou our vision, we pray, with thanksgiving for Your grace. Amen. You don't have to fight alone. We are not ignorant of his devices. He wants to separate friends. He wants to keep us suspicious of one another. He wants us to be jealous or envious or greedy or selfish. The attacks come when we're alone, and vulnerable. They come when we are out of sorts, feeling abandoned, feeling hurt and forsaken. Satan and his minions are not idiots. They don't bother us when we're strong, when we have our "peeps" in our corner. They lie in wait, biding their time, until they get the chance. This is why we MUST NOT be alone. God didn't plan for His children to be "lone wolves". He planned for us to be in community, in families, in churches, walking side by side with others in the same battle. When you're under attack, tempted to sin, feeling yourself slipping away, ready to fall, what do you do? Do you retreat into a pity-party, telling yourself that you need that thing, or want that illicit relationship, or can't live without that... whatever. When you're under attack, do you retreat? Do you try to stand on your own two feet? That's the last thing you should do. Jay Adams (in his book, The War Within) tells us what to do. "It is not wrong for you to ask for it. Indeed, you could do nothing more important, if you find yourself in the thick of the battle, losing your fight with the flesh. Call; call now! Call for reinforcements. Don't wait until you have lost the battle. Don't wait until someone else must call for the stretcher-bearers. Call for others to stand beside you and help you, so that you may win the battle for the sake of Jesus Christ. Did you notice those last words: "for the sake of Jesus Christ"? Yes, that should overcome your reluctance to seek help. You are not merely fighting a battle of your own; this is the Lord's battle, and it is to be won for His glory. How dare you assume that this battle is yours? Who do you think you are? How can you say, "It's my business whether I win or lose?" How can you tell others who want to help you to "mind their own business"? Fighting the Lord's battles is the business of the whole church." We are all in the Lord's army. There are no private battles. If you're struggling with sins of the flesh, with the lust of the eyes, with the pride of life, call for help. If you're struggling with relationships, with your marriage or family, with sinful patterns that are entrenched in your life and affecting your loved ones, call for help. If you go it alone, your marriage will fail, or you'll fall into sin, or you'll make the wrong choice. We're in a battle, but we're not in it alone. Swallow your pride, and seek reinforcements. Call for help. Tell me who are we fooling? If it's not either of us, tell me who are we fooling? This brings back memories of my childhood. I was in church choirs from the time I could read, at 5 years old. I loved the beauty of the voices and instruments swelling in harmony, guided by a choir director who knew her stuff! We also were in an adult choir years ago. Our children haven't experienced a large church with a choir. D.A. Carson writes, in Worship: Adoration and Action, p.15. Should we not remind ourselves that worship is a transitive verb? We do not meet to worship (i.e. to experience worship); we aim to worship God. 'Worship the Lord your God, and serve him only': there is the heart of the matter. In this area, as in so many others, one must not confuse what is central with the byproducts. if you seek Christ, you will find peace. if you seek Christ, you will find joy. if you seek Christ, you will find holiness. if you worship the living God, you will experience something of what is reflected in the Psalms. Worship is a transitive verb, and the most important thing about it is the direct object. Some day, I'm going to tell him so. I also love the two books of Corinthians. Paul's letters to the Corinthian church are a smack-down. The Corinthians were some of the most talented, blessed folks around, yet they were sinners in need of correction. Paul was just the man for the job. I've been reading 2 Corinthians for some time now. I love how Paul defends himself as an apostle to these stubborn people who have been listening to naysayers. He is reluctant at first to say anything, but finally feels compelled to let the Corinthians know that he is a legitimate apostle. He was chosen by God on the Damascus road. In Chapter 12 he speaks of being caught up into heaven and shown incredible, unbelievable things (We can't even begin to imagine how incredible heaven will be - Paul couldn't even articulate it.). The weaker the human instrument, the more clearly God's grace and power shines. This is true today, too. The weaker the human instrument, the more clearly God's grace and power shines. You can see it if you look for it. Look at the struggling Christian. the spouse dealing with an unfaithful partner, yet forgiving again and again. These weak Christians are instruments of grace in others' lives. Look at them, and see what God is doing. Paul was weak, too. He likely wasn't a fine physical specimen. People were criticizing him and denouncing him because he didn't demand money like the other "missionaries". Paul finally defended himself and told the Corinthians how much he loved them and longed for them to grow. Paul did not want to go back to Corinth and find the Corinthians in the same sorry condition they'd been in before. He longed for them to grow in grace. He desired that they would repent of impurity and immorality. He blasted them with a furious pen, a passionate pen, a pointed pen. But he did not give up on them. 1 Corinthians 12:19 Have you been thinking all along that we have been defending ourselves to you? It is in the sight of God that we have been speaking in Christ, and all for your upbuilding, beloved. 20 For I fear that perhaps when I come I may find you not as I wish, and that you may find me not as you wish—that perhaps there may be quarreling, jealousy, anger, hostility, slander, gossip, conceit, and disorder. 21 I fear that when I come again my God may humble me before you, and I may have to mourn over many of those who sinned earlier and have not repented of the impurity, sexual immorality, and sensuality that they have practiced. Notice Paul's purpose - all for your upbuilding, beloved. He loves them, and wants to build them up. Paul longs for "his children" to lead godly lives. Isn't that what we long for in our loved ones? Don't we want them to do better, to put off sin and put on righteous living? Aren't we heartbroken when we witness others struggling with the same old sin patterns? Paul plans to come back to Corinth, but worries about what he'll find. He fears that when he comes he won't find a group of mature Christians, loving one another, serving one another, pouring out their energy to help others. Instead, he might find people struggling with quarrels, with jealousy, with anger, with hostility, with slander and gossip and deceit. He fears that he'll encounter disorder. He dreads that God may humble him before them, causing him to mourn over those men and women he taught and prayed for and admonished and loved. Is there someone in your life that is a pain in your neck? A thorn in your flesh? A burr in your saddle? Is there someone you've prayed for and longed for, crying out to God to deliver from besetting sin? One of the things God calls us to do is to LOVE. It's the first and greatest commandment. We're to love God first and foremost, and love our neighbour as ourselves. Jesus makes it clear that our neighbour is everybody. God brings people into our lives and we're to love them. William Carey was called to be a missionary to India. He was the first missionary sent out by the Society, and he took along his wife, Dorothy, and his two sons and his sister-in-law. God called him to go, of that he was certain, but Dorothy didn't get it. She refused to go at first, only agreeing when her sister said she'd go, too. As soon as she lost sight of Britain, Dorothy regretted her decision... and things went from bad to worse. When they finally landed in India, they discovered they were illegal and weren't allowed to preach. They moved into a hovel when their funds were gone, but there was no work for William. They moved again, and their son died. Dorothy never recovered. She blamed her husband. She railed at him, sometimes attacking him and making him bleed. She bitterly destroyed his prize flowers, and refused to get out of bed. She screamed and hollered and cried out against William and India and God and her entire life. She was a mess. It would have made sense for William to commit her to an asylum, but when a fellow missionary suggested that, William was horrified. He married her for better or for worse. He stuck by her until the end. If we evaluate Dorothy as a wife, she was a failure. Not much of a wife. Yet God gave William the grace he needed to remain faithful to Dorothy. He patiently put up with her yelling and screaming and her destructive ways. He continued to be kind to her and speak well of her. He did not give up on her. Just like Paul. Paul didn't give up on the Corinthians, even though they were a sorry bunch. He prayed for them, and longed that they would live godly lives. But even though he dreaded that they might slip back into their former behaviour, he never gave up on them. William didn't give up on Dorothy, either, even though she was a sorry mess. He prayed for her and longed for her to accept her life in India. He hoped that she would find joy in service to others, and even when she refused to listen, he never gave up on her. Is there someone in your life that you want to give up on? 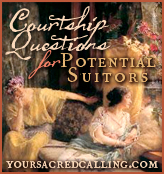 Is there someone you've prayed for, longed for, agonized over? Don't give up on him! Just like Paul, be willing to mourn if need be. Be willing to pray, again, for that wretched sinner that God has put into your life. Don't worry about what you will find in his life - it's not up to YOU. Spiritual growth is a work of the Spirit. We are called to love. God does the rest. Just don't ever give up. Never give in! NEVER SURRENDER! Mark 5 has one of my favourite stories in the Bible. The man of Gadarenes (or Garasenes) must have been filled with demons, for there were enough to enter 2000 pigs. They came to the other side of the sea, to the country of the Gerasenes. And when Jesus had stepped out of the boat, immediately there met him out of the tombs a man with an unclean spirit. He lived among the tombs. And no one could bind him anymore, not even with a chain, for he had often been bound with shackles and chains, but he wrenched the chains apart, and he broke the shackles in pieces. No one had the strength to subdue him. Night and day among the tombs and on the mountains he was always crying out and cutting himself with stones. And when he saw Jesus from afar, he ran and fell down before him. And crying out with a loud voice, he said, “What have you to do with me, Jesus, Son of the Most High God? I adjure you by God, do not torment me.” For he was saying to him, “Come out of the man, you unclean spirit!” And Jesus asked him, “What is your name?” He replied, “My name is Legion, for we are many.” And he begged him earnestly not to send them out of the country. Now a great herd of pigs was feeding there on the hillside, and they begged him, saying, “Send us to the pigs; let us enter them.” So he gave them permission. And the unclean spirits came out, and entered the pigs, and the herd, numbering about two thousand, rushed down the steep bank into the sea and were drowned in the sea. No wonder he could not be restrained! He cut himself; he cried out night and day; he resisted any attempts to stop him from harming his own body. He was a mess. And yet, when Jesus stepped in, this man changed. Completely. Where before he was naked and unstoppable, now he was sitting there, peaceful, clothed, contented. Where he'd been out of his mind in a frenzy of pain and anguish, he now was in his right mind. It must have been frightening to see this transformation. It was so scary that the townspeople begged Jesus to leave. But what did the man do? If I'd been crazy and angry and self-destructive and unable to change MY behaviour, then all of a sudden was transformed, clothed, and in my right mind, I'd have wanted to spend some time with the guy who'd made the change in me. That's exactly what this changed man did. He followed Jesus down to the shore. He begged Jesus to let him come with Him. He wanted to spend time with Him. He wanted to be with this wonderful Saviour who had changed his life completely. Jesus looked at him, I am sure, with compassion. He looked at him, I am sure, with love. And then He did the unthinkable. He said NO. "What, Lord? You mean You do not want to have me follow You? You don't want me to serve You, to help You in Your ministry, to fetch You some water or a bit of bread? I want to be WITH YOU!" And He did not permit him but said to him, go home to your friends and tell them how much the Lord has done for you, and how he has had mercy on you. Jesus knew what was best for this man. He knew he'd obey, and go faithfully to his loved ones and townspeople, proclaiming to everyone how much Jesus had done for him. So, in love, He sent him away. What about you? Is there something you've longed for? Some ministry you've wanted to participate in? Some spiritual service you've been dying to do, yet the door seems closed to you? Sometimes, in love, Jesus says No. Sometimes, in love, He sends us away. long to do works You have not planned. You tell us, "Stay home!" and how He has had mercy. with *only* our families to teach. This morning in my regular Bible reading, I happened to read Lamentations 3 and Romans 8. What a wonderful combination of wisdom is to be found in those two chapters of God's word. 40, 41 Let us test and examine our ways, and return to the Lord! Let us lift up our hearts and hands to God in heaven. Lamentations 3 is about a man who has experienced affliction. He has endured suffering and experienced God's faithfulness and responded to God's sovereignty and goodness by praying for renewal He has confidence in God's concern for him and desires to teach others what he has learned. Affliction is the normal lot of life. God is a jealous God, and He wants His children to love Him and obey Him and follow Him and serve Him. When we go astray, which we are prone to do, He lovingly corrects us. The only One we can turn to in our affliction, no matter what it is, is the God who afflicts us in the first place. He sees us going astray, living selfishly, taking His gifts for granted, and He reacts in love. He encompasses us, and blocks our way, stopping us from following a destructive path. He teaches us about His grace and His faithfulness. No condemnation. Not a bit. NONE. God righteously condemned sin in the flesh by sending His own Son to pay the price for sin. All of it! All of my sin was paid for and I was adopted into the Family of God. No longer a slave, I am a child of God and an heir with Christ. I am a child of God who is never separated from the love of my Father. NOTHING condemns me; NOTHING separates me from the love of Christ. Yet it's a given that I will suffer. I will endure things like tribulation and distress, persecution and famine, nakedness and danger and sword. You will, too. The tribulation could be as small as a misunderstanding between family members or as great as a diagnosis of cancer. The distress could be a life-changing car accident, or a friend's move overseas. Persecution could be from a creditor, or from someone who mocks you because you are a Christian. Famine could be a lack of something you desire - something you have longed for in your life for years and years and interminable years. The sword could mean death - or it could be the piercing of your heart when your child turns his back on your teaching and walks away. Do you see that? Your sufferings are not worth comparing to the glory that will be revealed to us some day, if we are children of the Living God. Not only do you walk with God today... not only are you assured of His steadfast love that never fails no matter what you are going through, God will show us His glory some day. What a glorious day that will be. Meanwhile, we walk by the Spirit, with His help and His guidance. We know that everything He sends our way is meant for our good. We know that in the middle of the tribulation and the distress and the famine and the nakedness and the sword, He is loving us and helping us and groaning with us. Christ loves us. He sends us into tribulation, and He loves us. He gives distress, and He loves us. He lets us be persecuted, and He loves us. He sees us regarded by enemies as sheep to be slaughtered (helpless to avoid their fate) and He loves us. He has compassion on us. His mercies are new every morning. Christian, live in the light of that love. NOTHING can separate you from the love of God in Christ Jesus our Lord. NOTHING. We all face trials and troubles of many kinds. It's the human condition. Job tells us that man is born to trouble as surely as sparks fly upward. Is it financial pressure? Could it be that you are down to scraping together the last few pennies in the bottom of your junk drawer in order to buy milk for your children? Is your marriage falling apart? Did your wife leave you after a quarter of a century of raising a family together? Are you in court today? Were you unfairly accused or badly treated by someone in authority? Do you feel helpless? Do you feel squeezed? Have you been backed into a corner with nowhere to run, nowhere to hide, nowhere to turn? Then, FIX YOUR EYES ON JESUS. Look to Him, and live! Think about His life on this earth. Financial pressures - He had nowhere to lay His head. Relationship issues - His own family thought He was out of His mind. Abusive authorities - both the Roman ruler and the leaders of Israel treated Him shamefully. He did exactly what we should do when we face trials of any kind. He cast Himself on His Heavenly Father, and trusted Him to do what was best. Psalm 121 My help comes from the Lord who made heaven and earth. The very Creator God who made everything and everyone around you is our Helper. He will not allow your foot to be moved, because He is immovable. He never slumbers or sleeps, because He is always alert, always aware, always omniscient. He is your Keeper. He protects you day and night. He preserves you from all evil, and will do so forevermore! Are you trapped in fear? Are you caught in a snare? Are you fretting about your circumstances, worried about the next phone call from a creditor, or what the judge will decide about your case? Trust in the Lord! He will keep you safe! Proverbs 29:26 Many seek the face of a ruler, but it is from the Lord that a man gets justice. Remember Who can move the heart of the judge. Remember Who can turn the tide, or send a new job, or open the heavens to sunshine instead of the dark clouds of storm. for You alone are trustworthy. Who showed us how to trust You.